According to a recent Harvard poll, 90% of Americans want more solar and wind over coal, oil, and nukes, a stat that crosses party lines. Why? The respondents’ reasons are not climate related, but they’re more concerned about the health, pollution, and safety issues tied to fossil fuels and nuclear power. 16% expect solar will make hardly any contribution at all. That’s a huge disconnect, considering that solar was 53% of new U.S. generating capacity in the first half of 2014, beating natural gas, and continues to throw new megawatts onto the grid at the average of one home every 2.5 minutes. The far future is somewhat brighter in American minds, but not by much: 57% of those polled believe that solar will make major contributions to U.S. energy in 15 to 20 years, yet 63% believe that solar technology is ready now to become an important part of America’s energy needs—not in 15 to 20 years. Finally, the Harris poll also reveals that just 34% of Americans have ever considered solar PV for their homes, and only 3% of those have actually purchased solar. 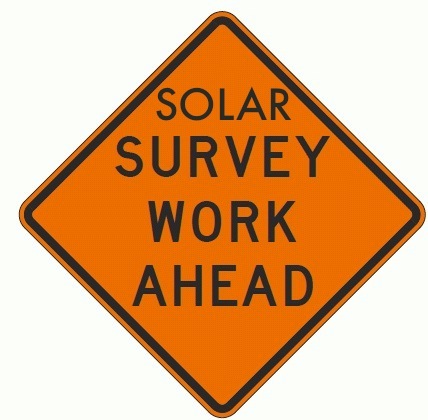 90% of Americans want more solar and wind for health and safety concerns. Just 34% have considered solar PV for their homes, and only 3% of those have actually purchased it. As solar communicators, marketers, and advocates, what should we do about this disconnect? First let’s get into the cause. It’s not in this survey, but past polls have shown that Americans still think that solar is too expensive or not affordable. To raise that 31% number and boost that 3% conversion rate, more solar consumer awareness and more solar economic education are needed. Does that mean spending more money on solar marketing efforts? Not necessarily. The large solar companies reportedly spend $.48/watt, or around $2,400 for a 5kW system to acquire customers, and that’s unsustainable as solar PV equipment and labor costs continue to fall. Instead of throwing more money at digital ads that convert a fraction of viewers, solar marketers need to spend more time and effort on solar economics education and inspiring more Trust Agents in the form of customer referrals. Getting more and more positive solar stories in the news should also be a priority, and the Harvard survey also shows us that people prefer solar because of their health and safety concerns, right? So, let’s respond to that. Let’s make sure our education includes how going solar is reducing the pollution that we all can’t see, but know that we breathe in every day. So educate customers that going solar now contributes to improving their own health, as well to their wallets. For me, these two surveys aren’t revealing anything new. I’ve often urged my solar marketing friends reading this blog to “stand out and educate.” These results are just another reminder that we must be more creative and work harder to combat persistent solar myths and… to UnThink Solar. Tor Valenza a.k.a. “Solar Fred” is the founder and CMO of UnThink Solar, and the author of Solar Fred’s Guide to Solar Guerrilla Marketing. For more solar marketing info, sign up for the UnThink Solar newsletter or follow @SolarFred on Twitter.